For their contribution to Inland Art Festival CAZ invited SITE/SPACE to respond to the public spaces in Redruth. SITE/SPACE is an open group facilitated by artists Andre Verissimo and Poppy Jackson that creates monthly site-responsive performance events in urban contexts. Participants explore and respond to each chosen location using their body, found material from the site and individual, collaborative and collective actions that unfold over a 3 hour duration in the public realm. SITE/SPACE are seeking participants for a workshop and performance session that will take place in public sites across Redruth on Saturday 27th September. 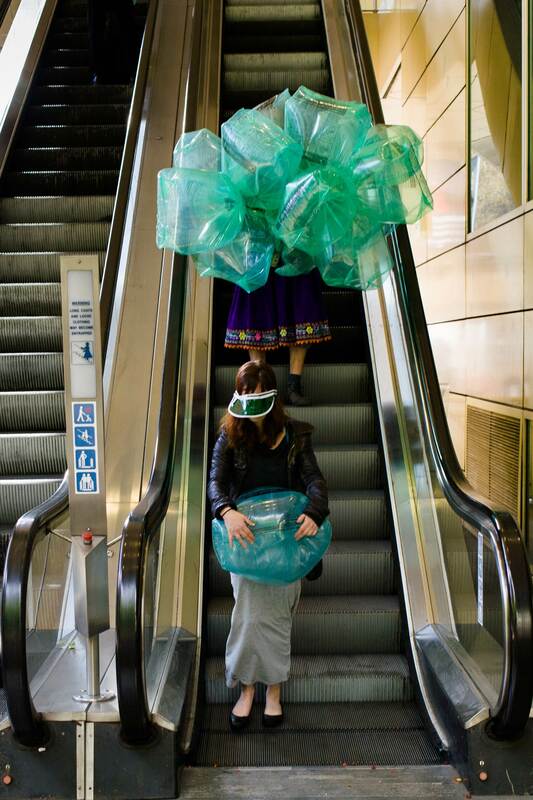 Artists and others with an interest in exploring performance in public spaces are invited to take part. ‘Being Public’, Workshop, 10am -1pm Andre Verissimo will facilitate a workshop that explores different ideas and meanings of public space. The workshop will take place entirely in the public realm, in different locations across Redruth. – Acceptable/unacceptable behaviour in public spaces. – Who is public space for? – The potential of public space for performance. – Unexpected encounters in public. – The relation between individual/private and collective/public. – Performing alone or as a group. 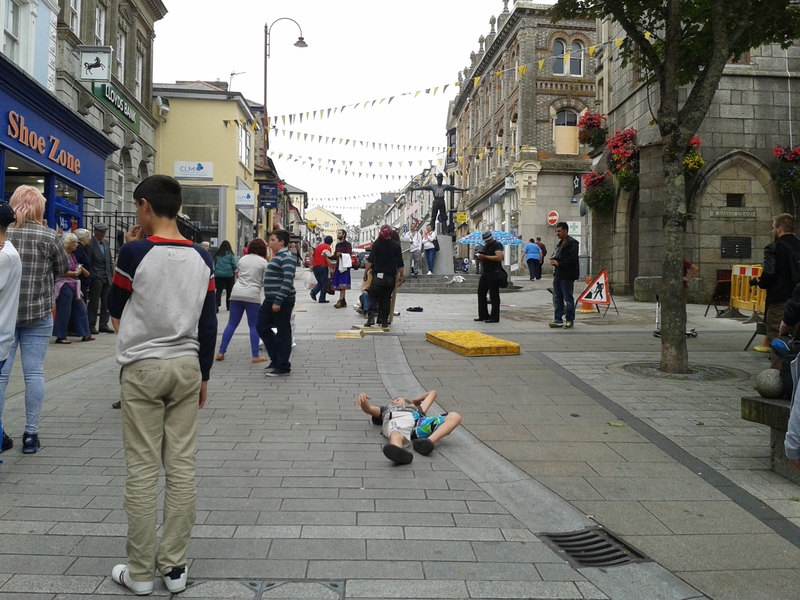 SITE/SPACE , Performance, 2pm – 5pm Participants are invited to join a group performance action across Redruth. You can either perform for the total duration of the event or join in for a shorter time.